Why Book Sri Lanka Tours with Us? Amazing beaches, picturesque landscapes, fun packed water sports and a lot more, Sri Lanka has become one of the top tourism destination offering its visitors a kaleidoscope of memories and we at Tour My India offer you the best of this island country and guarantee you with the ultimate travel experience. We value your money and provide you with the best in your budget. Why book with us? Because we believe that quality and service must go hand in hand and for us, our client’s satisfaction is what matters the most. We also believe in taking personal care of our clients, we are with you at every step of your trip. From the day you book a Sri Lanka package with us till the day you return home we are your personal caretakers. So whether you are a solo traveller backpacking to beautiful Sri Lanka or going on an all-girls trip you can rely on us for your safety. Sri Lanka is also one of the best honeymoon destinations and has a number of places for romantic getaways. We customize the trip and help you explore the pristine islands of Bentota and quiet life of jungle island at Beruwala where you can simply spend quality time and relax with your loved one. We also help you with the best family tour packages where you can watch your kids get closer to nature as they travel. From whale watching and Dolphin tours at Galle and Hikkaduwa to spending time petting and feeding elephants at Pinnawala, we aim at introducing Sri Lanka to its visitors. We also take you on the tour to various offbeat destinations in Sri Lanka and help you explore the place like a local does. Being an island country there are many places to experience fun-filled water activities in Sri Lanka and we handpick the best ones for you. Our local travel guides have complete knowledge about every part of the country and they are always by your side while you are exploring the part of the country on your foot or Tuk-Tuk, helping you witness the Dutch and Portuguese architecture and experience the rich culture of the country. A melting pot of many cultures and religions, the city is a unique blend of East and West. 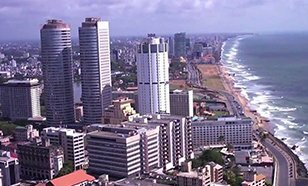 With the country’s Parliament and Stock Exchange operating its functions through Colombo, the city also holds an importance of being the administrative and economic hub of the country. Here are some of the interesting sites to visit during your trip to Colombo. One of the most popular travel destinations in Sri Lanka, the city is swarmed with hordes of tourists and pilgrims every year. 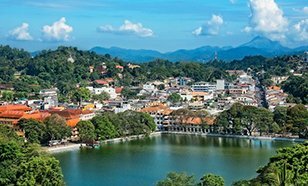 Dotted with posh boutique hotels, colourful houses, busy streets and bustling markets, the city of Kandy today, has been covered in the veil of modernization but, yet holds firmly on to its age-old religious and cultural charm. 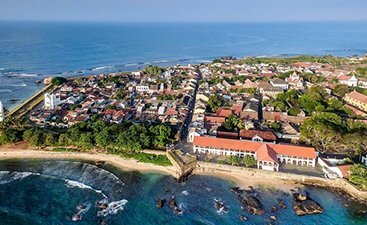 The ‘Galle Fort’ is the major tourist attraction of the city and enjoys the status of a world heritage site. The area inside the fort can be easily explored on foot. Surrounded with sea on three sides, a walk on the fort walls provide exquisite views of the azure waters of the sea that extends endlessly to meet the horizon. 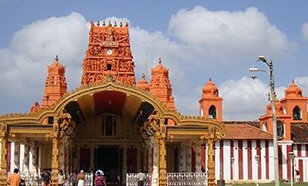 A victim of civil war between the LTTE group and the Sri Lankan Army, which lasted for around 20 years; Jaffna is now gradually emerging as a tourist destination in Sri Lanka. Trying to rebound from its several years of isolation, the town is now attracting many travellers to have a glimpse at their age old Tamilian Hindu culture. Hiding a treasure trove of colourful corals inside its warm waters, needless to say, Hikkaduwa has also gained quite a popularity amongst snorkelers and divers who thrive here to quench their thirsts for witnessing a magical marine life. 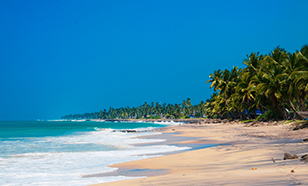 The little beach town is also one of the favourite surfing destinations in Sri Lanka and is thronged by surfing enthusiasts from across the world.